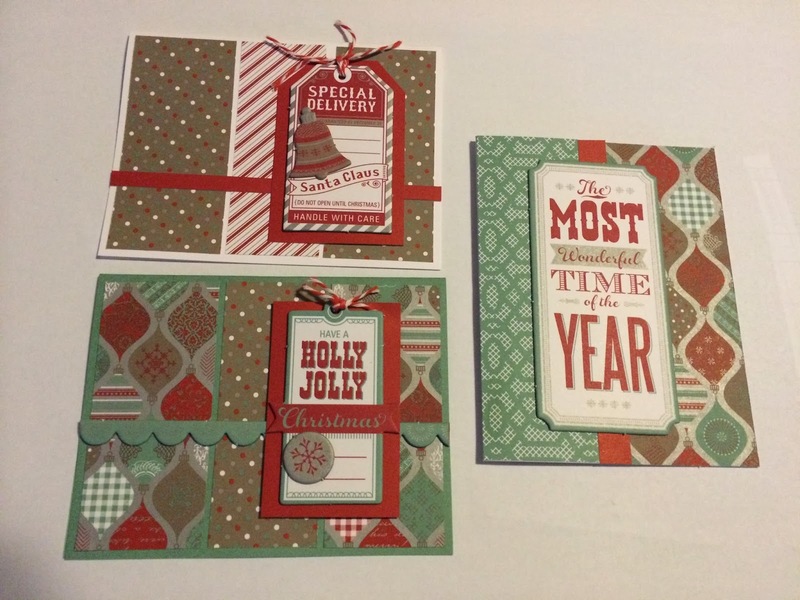 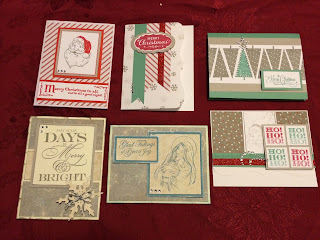 I know it's a little late now, but these are the Christmas cards I created this year. A few were inspired by other consultants. 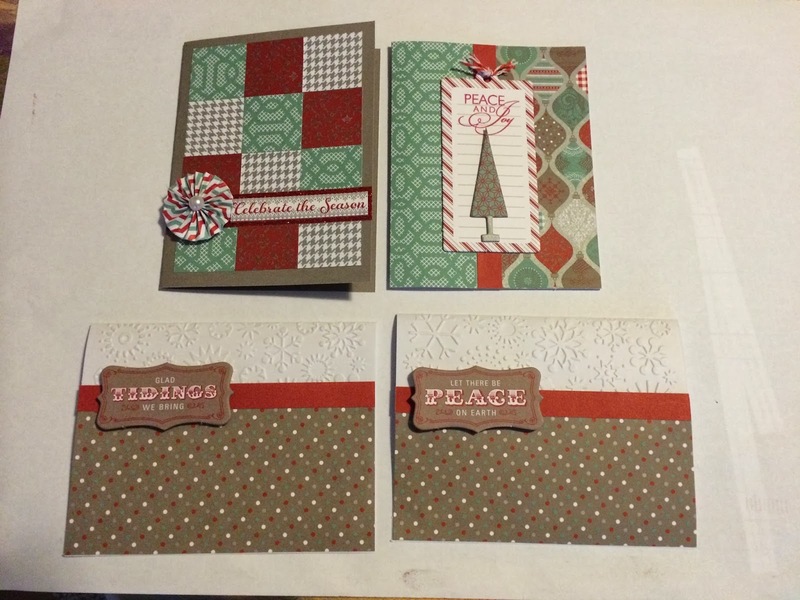 I know the trees in the first set were inspired by Karen Pederson. 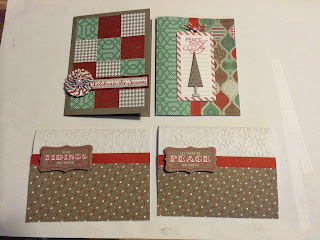 I also borrowed some ideas for the cards using the Sparkle Elements and Shapes from Gail Gross.